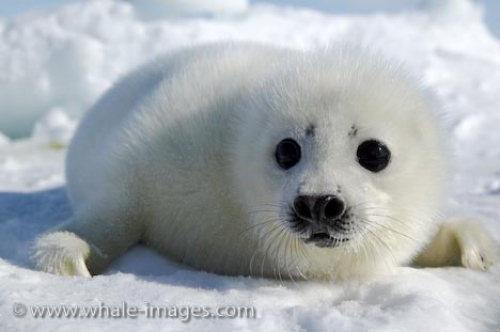 Order your quality photoprint of "Cute Baby Harp Seal Gulf Of St Lawrence" now! Photo of cute baby Harp Seal near the Gulf of St. Lawrence, Canada trying to keep safe from any predators. "Cute Baby Harp Seal Gulf Of St Lawrence" photoprint!